Jude Law, Diego Luna and Liev Schreiber Join .. The New Baywatch Trailer is Here to Rescue Yo.. 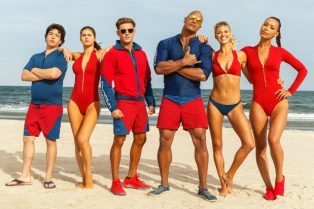 The Baywatch Team Assembles in a New Cast Pho..
New Baywatch Photo Featuring Daddario, Rohrba..
Plus slow motion videos of Rohrbach and The Rock!